My Prayer Journal: 6 X 9, Guided Prayer Journal, Lined Pages, Add Corresponding Scripture, Prayer of Praise - Orange by Kirk, Mary was published by Independently Published in August 2018. The ISBN for My Prayer Journal: 6 X 9, Guided Prayer Journal, Lined Pages, Add Corresponding Scripture, Prayer of Praise - Orange is 9781719954747. Be the first to review My Prayer Journal: 6 X 9, Guided Prayer Journal, Lined Pages, Add Corresponding Scripture, Prayer of Praise - Orange! Got a question? No problem! 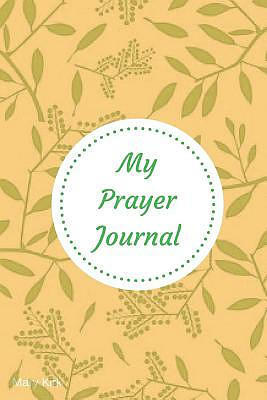 Just click here to ask us about My Prayer Journal: 6 X 9, Guided Prayer Journal, Lined Pages, Add Corresponding Scripture, Prayer of Praise - Orange.